No Politics in Video Games? These days, politics is unavoidable. Take Wolfenstein II: The New Colossus. Folks, if you thought the latest entry in a Nazi-battling action series would be uncontroversial, then congratulations: you have dodged the news since 2016. Because unlike the previous games’ mix of World War II espionage and supernatural scares (think Where Eagles Dare meets Raiders of the Lost Ark), this rebooted Wolfenstein imagines an alternate 1960s in which the Nazis conquered America. [In the game] freeing America is the first step to freeing the world,” says Hines. “So the idea of #NoMoreNazis in America is, in fact, what the entire game (and franchise) is about. Our campaign leans into that sentiment, and it unfortunately happens to highlight current events in the real world. Like I said: politics is unavoidable. Wolfenstein II also upset an element of gamers who did not appreciate its diverse protagonists. It’s the same element that fired the Gamergate controversy, and the viewpoint that gaming has been invaded by what some denigrate as liberal “social justice warriors”. Closely tied to that is the cry: get your politics out of my video games! Games, in this view, are an apolitical space, limited to shooting things and solving puzzles. 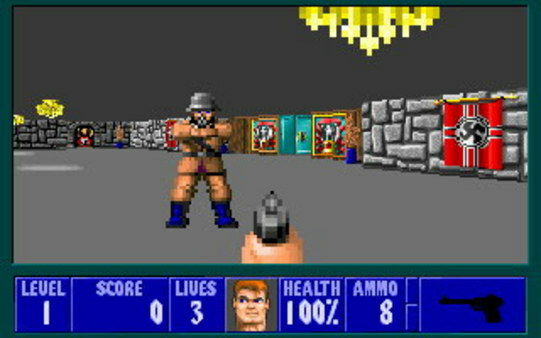 The granddaddy of Nazi-bashing video games, the Wolfenstein series has featured (variously) Nazis, zombie Nazis, undead Saxon knights – and final boss Adolf Hitler, equipped with a robot suit and chain guns. In questionable taste? Of course, but there’s no denying that Wolfenstein has always been about tackling totalitarianism. 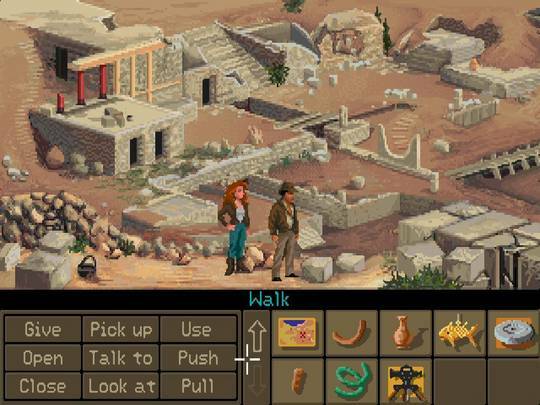 There have been more than a few Indy video games, with this original graphic adventure by LucasArts an all-time classic. In keeping with the spirit of the movies, Indy has to beat the Nazis to the secret of Atlantis. And in the underrated Indiana Jones and the Infernal Machine you take on the Soviets in a race to unlock the Tower of Babel in 1947. Indiana Jones: fights Nazis and Commies alike using nothing but a gun and a whip. Or, “1984: The Video Game”. 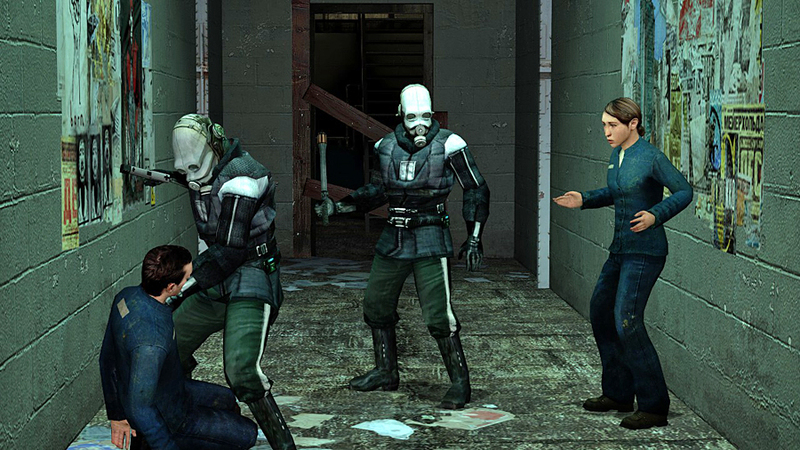 Wake up and smell the ashes of City 17, and as Gordon Freeman – “the One Free Man” – fight the forces of the Combine and Administrator Breen, the man who led humanity to a Vichy-like capitulation against alien invaders. Overseen by Big Brother-like monitors and drones that photograph your every move, City 17 is an Orwellian police state. Half-Life 2 is political, philosophical in big ways – hear Breen’s arguments that your actions as freedom fighter are purely destructive. But the action itself tells a story. 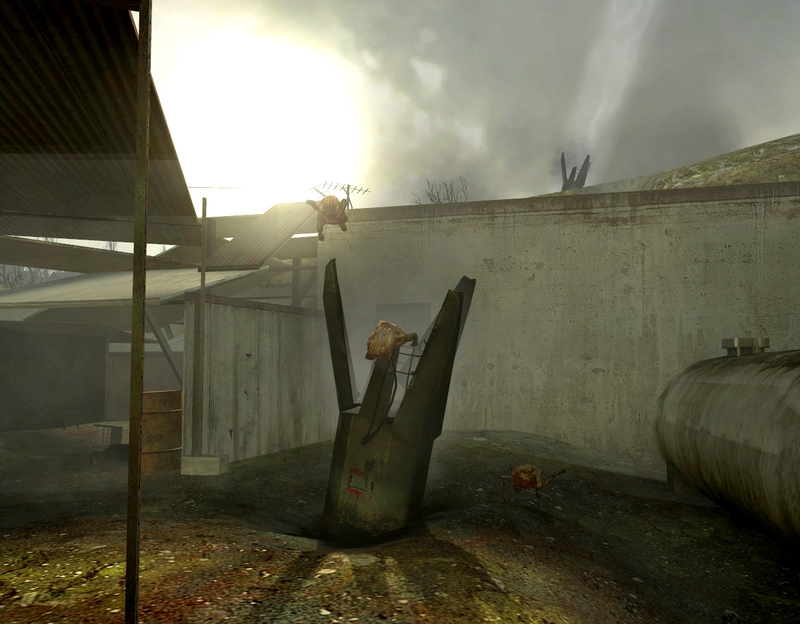 The human government’s collusion with the Combine can be seen when they attack using very literal biological weapons: headcrabs stuffed inside mortar shells. Assassin’s Creed isn’t all free running while wearing hoodies, you know: this series features a decidedly progressive, postcolonial look at historical societies. 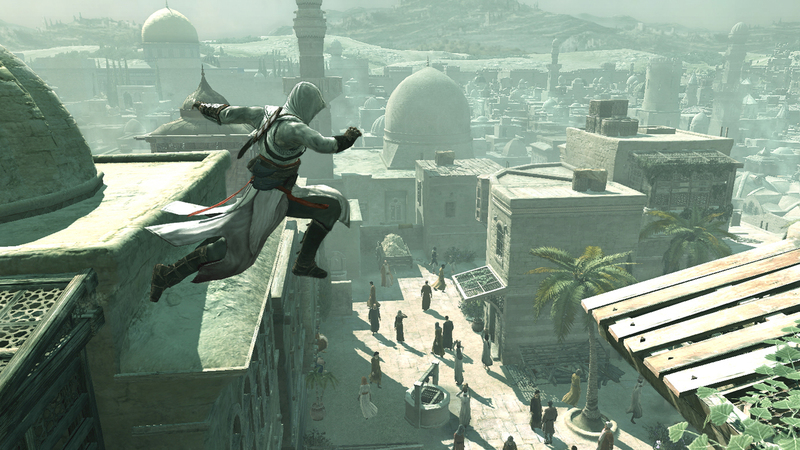 It all started in 2007 with the original game, in which you play Altair Ibn-La’Ahad, member of an order of assassins (based on the Hashshashin sect) as you defend the Holy Land against the Knights Templar during the Third Crusade. (This came after Ubisoft’s Prince of Persia reboot, featuring a sympathetic Middle Eastern hero). I’ve written at length about the politics of Assassin’s Creed III, which views the American Revolution from a Native American perspective. That Assassin’s Creed’s progressive stance has flown under the radar is genuinely surprising. 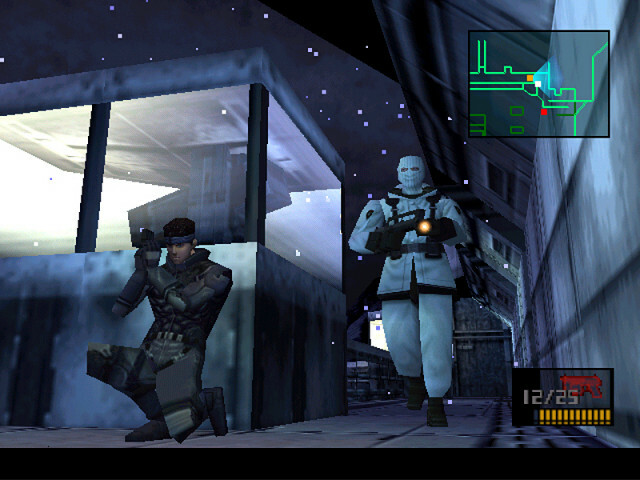 I’ll admit that I haven’t played more than 10 minutes of any Metal Gear. But this series is jam-packed with themes of genetic engineering, identity, censorship, and war and peace. Hollywood continues to present the US army as being the good guys, always defeating the aliens or foreigners. I am trying to shift that focus. These movies might not be the only way to view current affairs. I am trying to present an alternate view in these games. I mean, one of the games is about a terrorist group called the “Sons of Liberty”! 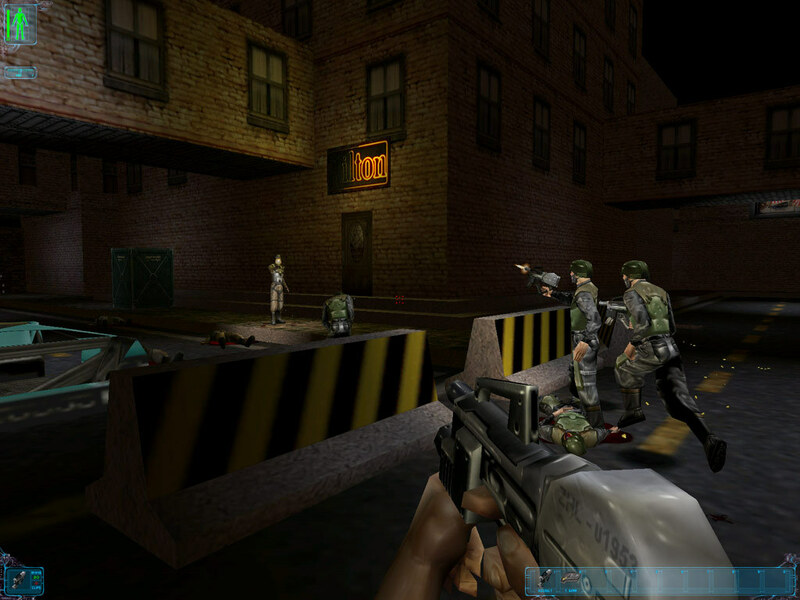 The Mercenary games were way ahead of their time – first-person, open world explore-’em-ups, completely nonlinear, offering multiple solutions. They also featured cheeky references to Britain’s Conservative government of the ‘80s and ‘90s. Mercenary III was the most obviously political entry: as the nameless mercenary, you are hired to prevent a corrupt businessman from getting elected planetary president. How to accomplish this is up to you: run for election yourself, dig up dirt on your opponent, bankrupt his businesses – or just plant a bomb in his office. Rock, Paper, Shotgun has an excellent retrospective on Mercenary III, a game that takes the player down into political dirty tricks. Nintendo is a non-political company, and its flagship franchises like Metroid tell stories in minimalist ways. 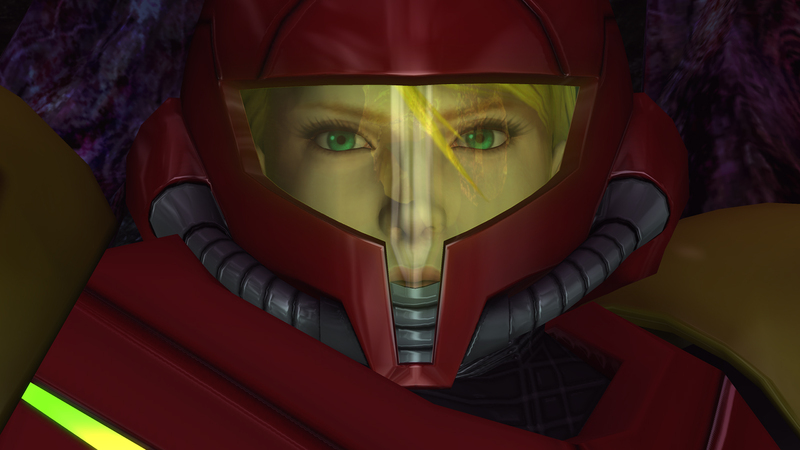 But it’s impossible to miss the cultural importance of Metroid’s strong woman protagonist. 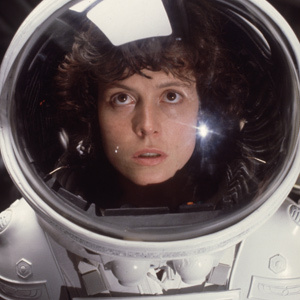 Metroid shows the influence of the Alien movies throughout: there’s the facehugging baddies, the isolation and cosmic horror, and iconic heroes: Samus Aran is video gaming’s Ellen Ripley. Where to start with this one? Set in a Blade Runner-like dystopian future of global conspiracies, political corruption, and societal breakdown, Deus Ex casts you as JC Denton, an agent with the UN Anti-Terrorist Coalition. Denton’s task force is headquartered on Liberty Island, which provides the chilling image of a decapitated Statue of Liberty, mutilated in an terrorist attack. I haven’t played its sequel, Deus Ex: Human Revolution, but from reviews it seems the series continues to do what all good sci-fi does: uses analogy to consider issues of society, class, and justice. 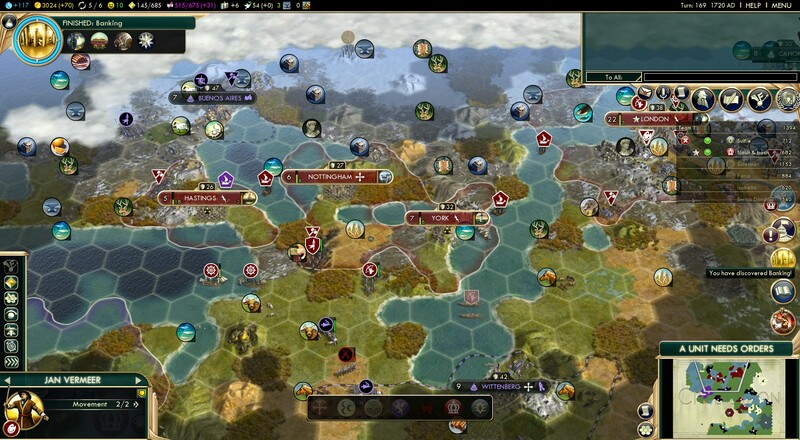 Build nations, negotiate treaties, declare war, and develop technology, culture, and religion. Not so much political video games as video games about politics, either way the Civilization games are a short history of humankind. 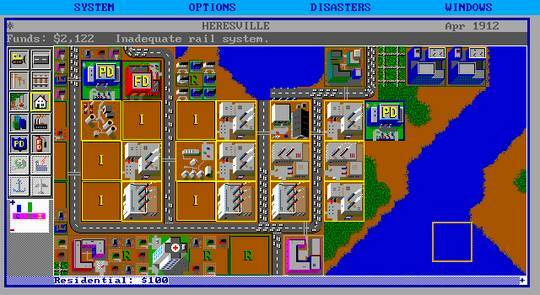 The SimCity games are about building cities, which is to say they’re about finding what’s “just right”: the right balance of land use, energy supply, transport links, and taxation. Heart pounding stuff! Political gurus got their start by playing strategy games like these. SimCity is a proving ground for left-versus-right theories on tax levels; but wherever you fall on the political spectrum, be prepared for your plans to crumble in the face of overpopulation, pollution, and dwindling resources. Almost like real life! 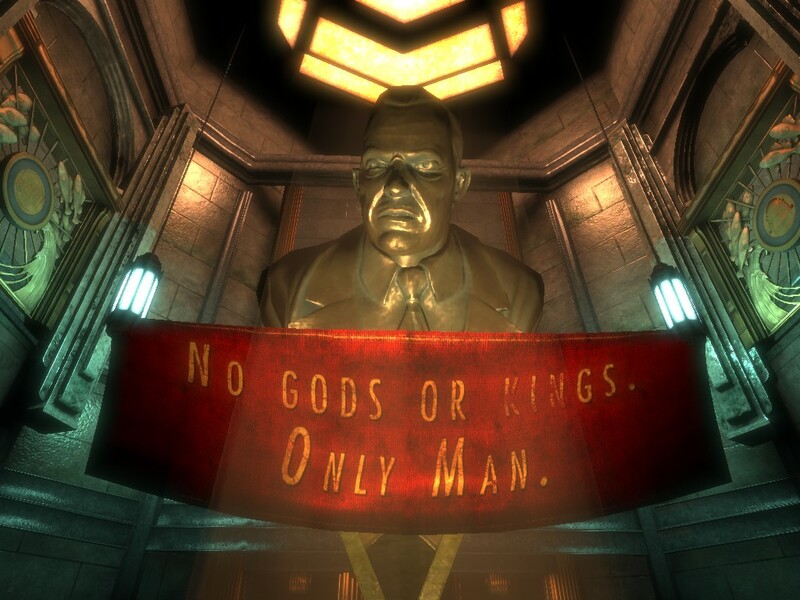 BioShock’s underwater city of Rapture was built as a monument to the free market: an ideologically pure capitalist paradise. In theory, anyway. In 2K Games’ vision, Rapture has degenerated into a claustrophobic nightmare: a literally lawless, broken down society in which unregulated genetic engineering has mutated or killed most of the population. You can agree or disagree with BioShock’s stance on the dangers of an unrestrained free market – but this is as political as it gets. There’s what it’s about, and what it’s really about. Any great movie or novel has a message, and video games are no different. Anything that has a point of view is political. And political views have been part of gaming for a long time. I suspect that what some gamers object to is not that politics have crept into their video games, but that the messages are not ones they want to hear. What do you think? What political themes have you seen in games? Man, the people behind this game’s controversy are total lightweights when it comes to taking criticism, aren’t they? It’s kind of hypocritical of them considering a lot of them end up going with the standbys of “Man up” or “Get over yourself”. In any case, I absolutely think there’s plenty of room for political discourse in gaming; just like in every other medium it can be done well and pave the way for interesting discussions (i.e. Metroid, SimCity, and Half-Life 2, as you say) and it can be done poorly, thus among other things, irreversibly tying the game to the time period in which it was released and making the writers look foolish (i.e. Spec Ops: The Line). I think it’s so true that those that are driving the controversy don’t do well with criticism. And the idea that politics should be left out of gaming makes no sense when you consider some of these political games are pushing 30 years old! Thanks for commenting, Red Metal! Video games are created by people that live in the same world that we do. They have the same thoughts and feelings that a lot of us share, and because of this we can see how their work can reflect how they are feeling. I think it wouldn’t be impossible to remove the general feeling people have in the current political climate, but it wouldn’t feel authentic. Plenty of games have been made that are fantastic and that have zero hints at politics, but people can make those games because their ideas are not shacked. They can express themselves anyway they see fit. That’s my thought on it. I could be wrong…and that’s find too. Papers, Please: A Dystopian Document Thriller is another great one. An impressive indie game! INSIDE as well, of course, although its message is a bit unclear, although there’s clearly a dystopian state involved. FFVII is highly political… Dungeon Keeper, too! You gotta keep those dungeons. That’s a good one! I really liked the idea of putting the player in the role of the immigration officer – such a great concept. I’m always amused when people become agitated about a story in any medium having a political message when everything has some sort of political message even if it’s not overt. Games/stories are created by people, and whether you realize it or not, your biases and beliefs come into play with anything you create. I obviously have to use my favorite game Final Fantasy VII, which is obviously political in terms of its environmental message, but it also says quite a bit about poverty: “No one lives in the slums because they want to,” and well seeing as one of the baddies is a corrupt business man who’s the president of a company that runs the world, I could argue VII’s prophetic properties, and I think bioethics in terms of warfare is going to become a more prominent issue as we become more advanced in that area. That’s so true about the author’s beliefs being present in anything that is created. And I love your example of FFVII! I’ve never played it, but it seems that RPGs do take on issues of poverty and class – I’m thinking of Fallout 3 and Star Wars: Knights of the Old Republic. RPGs are probably the best genre to do so since they’re focus is mostly on story…or I’d say that maybe 10-20 years ago since more games now are story focused without the need to be RPGs, which I really love. I’m thinking of The Last of Us and it’s themes of loss, survival, and desperation or SOMA and its existential horror. I have a copy of KOTOR that need to throw in my PC and play. I’ve never gotten into the Fallout series! Maybe I should check out a Let’s Play. I’m just happy I caught one of your articles. I started following you when I saw you deconstruct video games, because that’s one of my favorite pastimes as well (when I have the time for it o.O), and I mostly focus on Final Fantasy, but I’ve been branching out to more. The Last of Us is another good one – as you say, exploring the theme of survival and how far people go to protect themselves and their families. Glad you caught this article, and that you enjoy deconstructing and examining games as much as me! I have that one queued up for a long analysis review, but there are a few before it. I’m glad to see it’s becoming more common! I’m an English/literature nerd, always have been, so deconstructing and analysis has always been a big part of my life. It’s a definite labor of love that I only wish I had more time for. This is something I’ve said for a while about games in general, though usually the veil over addressing the issue is so thick that people don’t actually get that it’s there. The biggest and most recent game I have for an example is Persona 5, which hit incredibly close to home and current day American politics, despite actually being meant to reflect the political scene in Japan. While that series is known for tackling heavy issues (and occasionally fumbling them), the plot attempts to flesh out and illustrate a number of issues that rout back to politics. I think the best summation of the game I’ve heard is that it plays out as a ‘wish fulfillment fantasy’ for people who see the issues in society and politics and want to do something about them. I also complete forgot to tell you so I figure I’ll add it in here: I nominated you for the Mystery Blogger Award going around right now, so keep up the good work and thanks what you contribute to the community! Likewise, I have never played a Persona game and had no idea that they also were political stories too! Thanks for the recommendation. Thank you also for the blog nomination, it is much appreciated! I am an avid gamer and a student of Politics in my final year of study and I agree that most, if not all, are political in varying forms. One of the most political titles I have played for some time is Red Dead Redemption, it has so many political themes throughout from Marxism (the wealth gap between those in the city and then in the country), Colonialism, displacement and even the development of contemporary justice. Thanks for this! I completed Red Dead only last year, and completely forgot about the political themes. As a western, it goes into all the themes you mentioned, and the idea of the coming of civilization to the lawless west. Rockstar’s satirical approach also works well! Yeah you’re pretty much guaranteed politics when Rockstar are involved! EXCELLENT and super duper informative! But yeah, there has always been messages and politics in games, some are more subtle than others. And weirdly you rarely hear these people complaining about the pro-war pro-America politics of the Call of Duty games. Fate of Atlantis is such a great game. I played it a couple of years ago, having missed it the first time around. It’s the *true* Indiana Jones 4! Yeah, it’s strange that politics in video games only becomes an issue when we’re talking about specific political views.